Is it legal to own an still in Illinois? 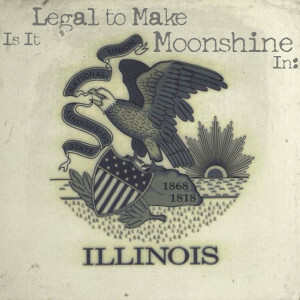 Is it legal to make moonshine in Illinois? What is the legal penalty for owning an unauthorized still in Illinois? What is the penalty for selling moonshine in Illinois? Is a fuel alcohol permit available in Illinois? Is it Legal to Own a Still in Illinois? No. Illinois statute, 235 IL 5/Article 10 Section 10.8 provides for the seizure and confiscation of any “… still or other property designed for the manufacture of alcoholic liquor”. Pursuant to this language, just being designed for the manufacture of alcohol makes the still illegal. What if a label was permanently affixed to the still that said “water distillation unit?” That would constitute a rebuttable presumption that the still was not designed for the production of alcohol and, thus, would not be in violation per se. However, any other evidence to the contrary (actual alcohol being in the still, distilled alcohol in storage, etc.) would, of course, rebut that presumption and make it a violation. Is it Legal to Distill Alcohol for Personal Consumption in Illinois? Negative. 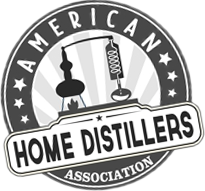 It is not legal to distill alcohol for personal consumption in Illinois. See below for penalties. Requirement to report to State agency if own/built a still? The only requirement to report would be to obtain a License. The Illinois State Liquor Control Commission receives applications for Licenses. Penalty for Possession of an Illegal Still and / or Making Moonshine? For actually manufacturing alcohol without a license, Illinois statute, 235 IL 5/Article 10 Section 10.1(a) provides for a fine up to $1,000 for the first offense and for the violation to be a Class 4 felony for all subsequent violations. Each day the violation continues is a separate offense. However, that does not include the mere possession of a still or other equipment. It appears that seizure and confiscation of the equipment may be the only penalty if there is no actual alcohol production. What is the charge for the first offense: (misdemeanor, felony?) Misdemeanor. All subsequent violations after the first offense are a Class 4 felony. What is the fine and incarceration penalty for these charges? Punishment is 1-3 years imprisonment and up to a $25,000 fine or both. Each day the violation continues is a separate offense. It appears that seizure and confiscation of the equipment may be the only penalty if there is no actual alcohol production. So, if it’s determined that the still is designed to produce alcohol, but no alcohol production was witnessed, then the still can be confiscated and this is the only penalty? I wouldn’t limit it to just not witnessing alcohol being produced, I would say that if no other evidence of alcohol production was found (sales records, alcohol or other residue in the still, alcohol in storage, etc.) then confiscation would be the only penalty. What if the still is designed for water purification? Is confiscation still possible? Can additional property be seized such as cars, houses, etc.? See above answer regarding the “water purification” argument being a rebuttable presumption. It appears that only the illegal alcohol, still and related equipment may be seized. Distilling in this state is only legal with a Class I Distillers license or a Class 9 Craft Distillers License; (235 IL 5/Article V, Section 5.1) . The fees are $3,600 for a Class I License and $1,800 for a Class 9 License (235 IL 5/Article V, Section 5.3). The Illinois statute, 235 IL 5/Article 10 Section 10.1(a) mentioned above, regarding manufacturing alcohol without a license, also applies to selling or distribution and provides for a fine up to $1,000 for the first offense, which would be a Misdemeanor and for the violation to be a Class 4 felony for all subsequent violations. Section 10.9 covers possession with the same penalties. Yes. Statutes authorizing and encouraging ethanol fuel production, including tax incentive and grants (mostly for large scale production). The program is administered by the Illinois Department of Agriculture. A person must be licensed as a Motor Fuel Distributor to import gasoline products into Illinois; produce, refine, blend, compound, or manufacture motor fuel in Illinois; have 30,000 gallons of bulk storage at an Illinois bulk storage plant and distribute the fuel primarily by tank car or tank truck; or export gasoline products out of Illinois. To be licensed as an Illinois Motor Fuel Distributor, a person must complete an Illinois Business Registration Application (Form REG-1) and an Illinois Motor Fuel and Other Fuel Information Form (Form REG-8-A). The Applicant must also post a bond. After the State has reviewed the Form Reg-8-A, the Applicant will be notified of the amount of bond to acquire. The bond can be in the form of: (a) an insurance bond. (Complete Form REG-4-A, Financial Responsibility Bond); or (b) a letter of credit. (Complete Form REG-4-D, Financial Institution Irrevocable Letter of Credit Bond).